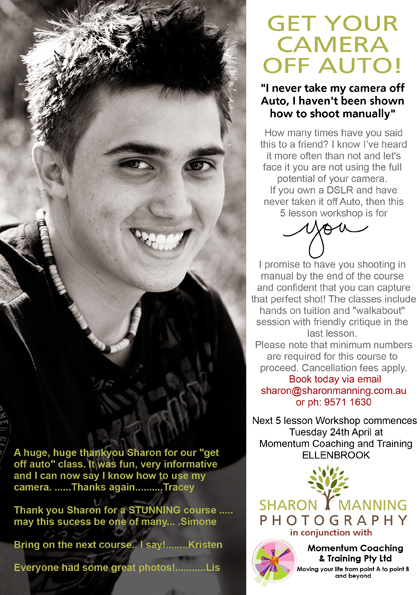 Sharon Manning Photography: “Get your camera off auto” workshop is back! Back by popular demand for those of you in Perth!!!!!!!!!!!!!!!!!! If you are interested please give me a call to discuss……these workshops don’t come around too often so get in quick numbers are limited.